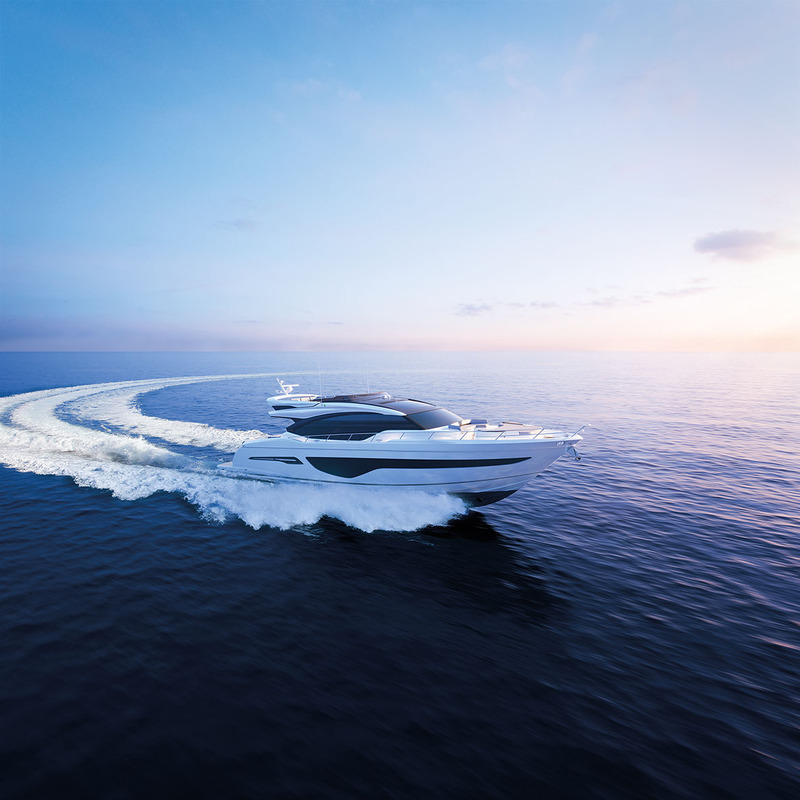 Marine Group is the new Italian Princess dealer based in Portosole, Sanremo, and run by the Cesana family. «They appreciated the fact that we’ve been loyal to a brand for 40 years and said they hope it will be the same with them», states Barbara Cesana. 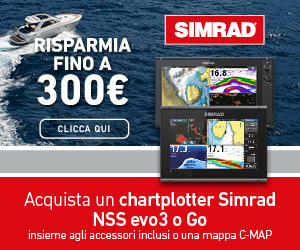 «It was the boatbuilder that chose us», adds Carlo Piatti. The Cesana family, with company founder Piero, can boast more than 40 years in the industry, and the brand they’ve been so loyal to is also British. Princess is expecting excellent results on the Italian market, trusting in the data stating that the economy is recovering. 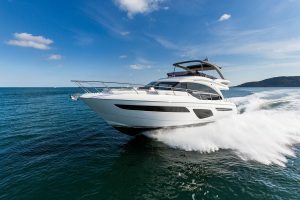 Analysing markets near our own suggests that boatbuilders perform well where there’s a good dealer, so all it takes is finding one that’s up to the mark. 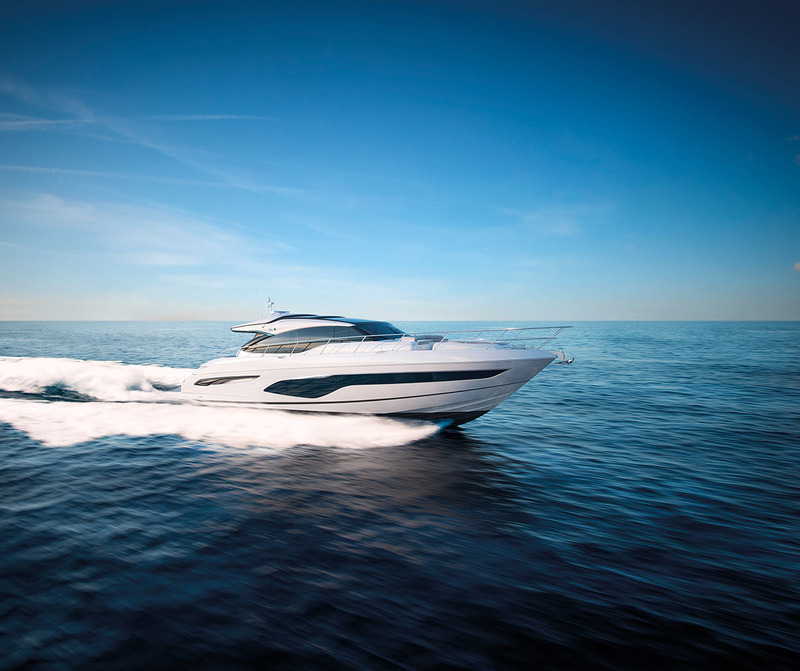 The first litmus test for Marine Group was the Düsseldorf boat show last January. The results were obvious given that during the show they sold a boat and another the following week. 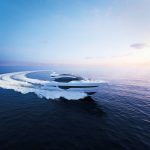 In Düsseldorf, Princess managed to obtain 21 contracts in a week, and was also noticed in the pavilion for mega yachts because it displayed the largest boat: a 35 metres. This was one of the M Class models that reach the flagship of 40 metres. The catalogue is extensive and there are four ranges, with the S Class, V Class and F Class in addition to the M class. 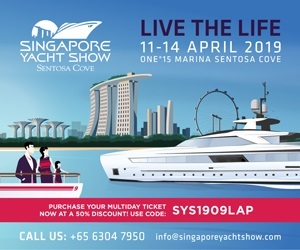 The S stands for sportfly, V faster open versions, and F the flybridge classics. 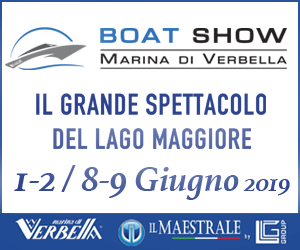 In all there are 26 boat models from 12 to 40 metres. «There’s a different model every 3 feet» explains Carlo Piatti. «It’s hard not to satisfy customers». Not only can Princess boast a range that is very extensive, but also significant investment for continual upgrades. The design continues to be the result of the successful partnership between the team in-house and the team at Bernard Olesinski, but some suggestions also came from Antony Sheriff, executive chairman of Princess. In the past Sheriff worked for Fiat, Lancia, Alfa Romeo, Pininfarina and McLaren. He has always been interested in design and his motto is to eliminate lines to simplify shapes. Despite a career in the automotive industry, he has no intention of radically changing the characteristics of these boats. The Princess models are boats made to sail in comfort and safety, as British tradition dictates. The innovation, materials and cutting-edge construction technologies are used to improve something that’s already good. 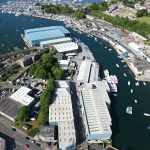 Craftsmanship is added to the mix for fitting out and assembly and everything is carried out at the boatyard in Plymouth, where the yard covers 100 thousand m2 and employs 2600 people. «We often invite potential buyers down to see the workshop because it’s a spectacle», states Carlo Piatti. The steel, wood and textiles are all produced on the UK premises. Tanks for example are made to measure to use the space available as efficiently as possible. Attention to detail is obsessive, but the difference is tangible. Everything is built and also tested, that’s why the boatyard is situated so close to the sea. There’s also control because Princess hasn’t given in to the trend for subcontracting. «This is a brand at the top of the range», states Barbara Cesana. «To do this the quality has to be felt as soon as you step on board». 300 models produced every year and split over 5 ranges, M Class, V Class, S Class, F Class and Y Class. 26 different types of boat from 12 to 40 metres – open, hardtop, fly, sportfly and motor yacht – there’s something for everyone. The next new boat to be introduced in September is a 35-footer that will inaugurate another range. 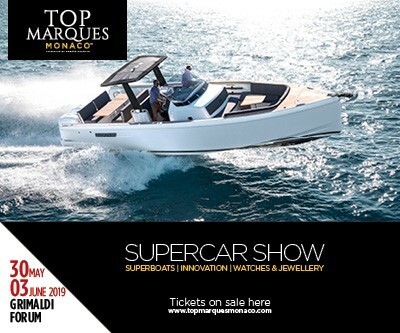 This day boat will be very special with a lot of carbon fibre and a lot of innovation. 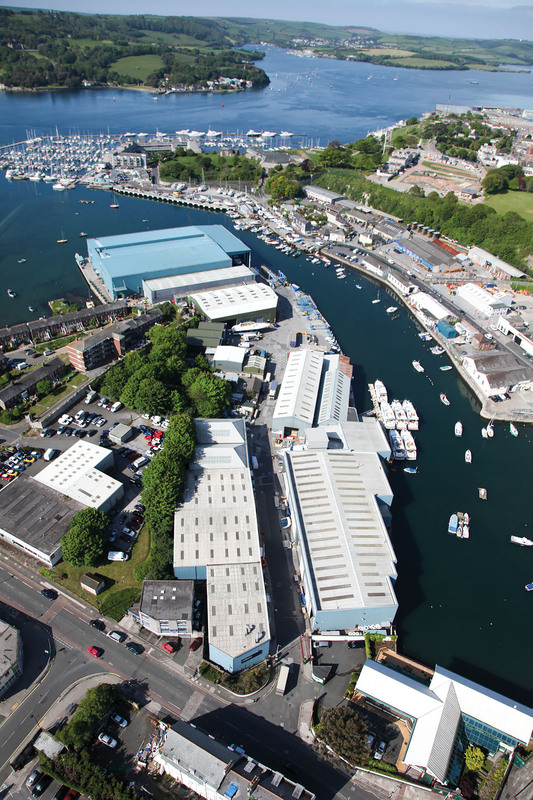 The boatyard is based in Plymouth in the UK, and covers 100 thousand m2 and employs 2600 people. 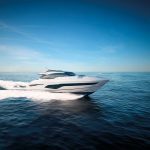 At the Düsseldorf boat show Princess sold 21 boats in a week.